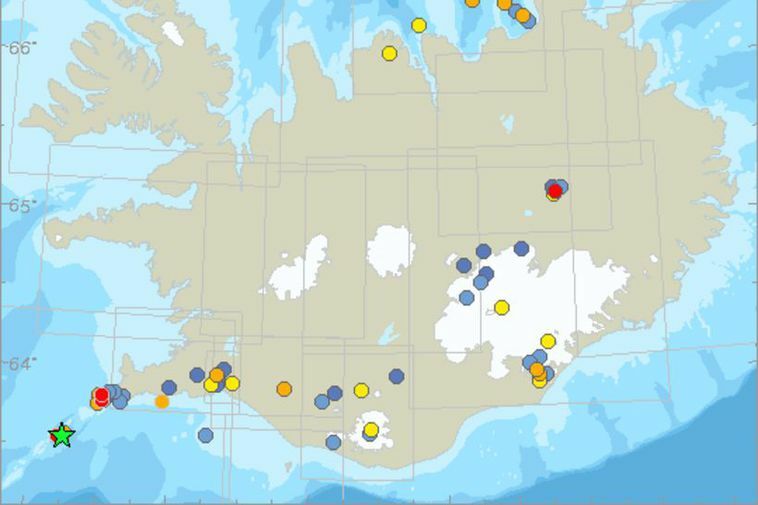 An earthquake of a magnitude of 3 was detected around 13 kilometers south west of Reykjanes at 04:32 last night. The Iceland Met Offfice did not receive reports that people in the area felt the earthquake. A larger earthquake measuring 3.7 was detected 24 hours earlier, some 420 kilometres south west of Eldeyjarboði in Reykjanestá.